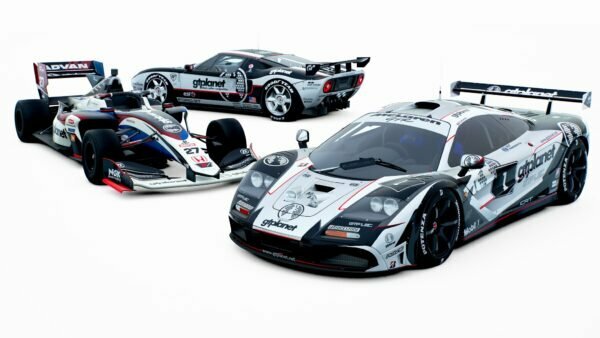 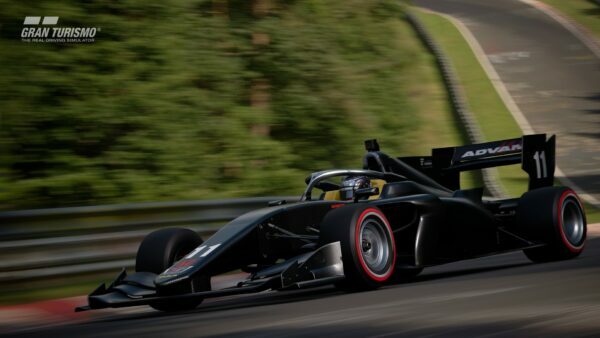 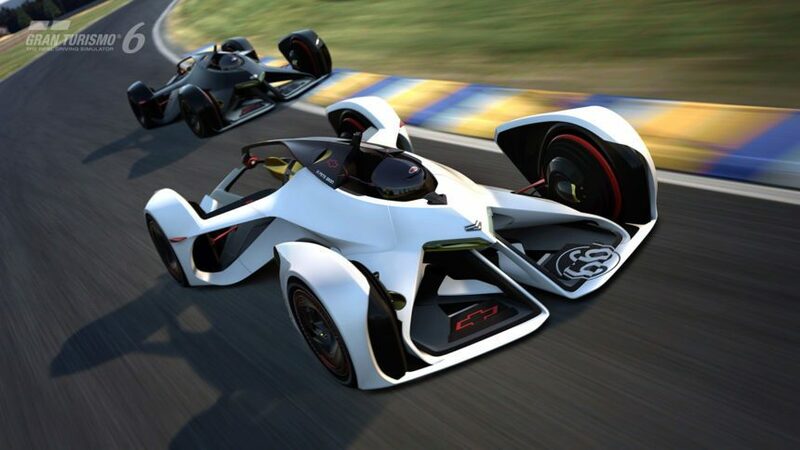 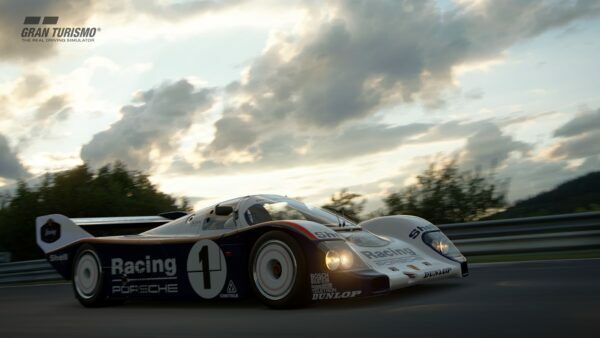 Update 1.15 has just been released as a 589MB update for Gran Turismo 6, and brings with it one of the most radical concept cars the series has seen since the Nike ONE 2022 was introduced in GT4: the Chaparral 2X. 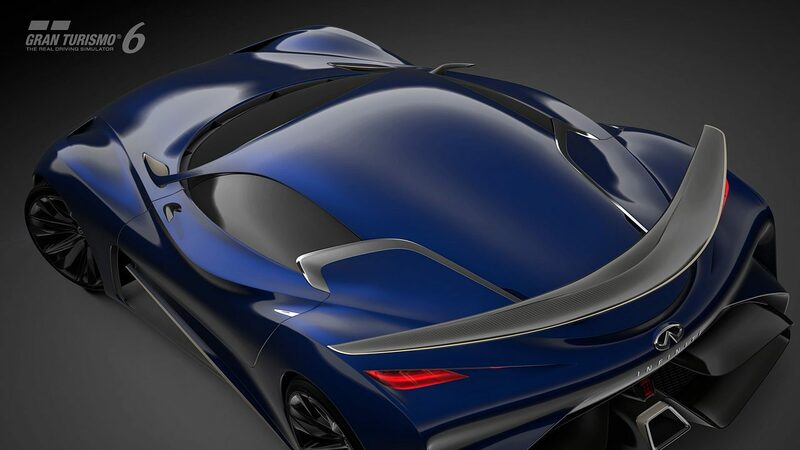 The laser-powered hyper car from the GM Design team was covered in full detail when it was unveiled at the Los Angeles Auto Show last month, and it’s finally available to everyone in GT6. 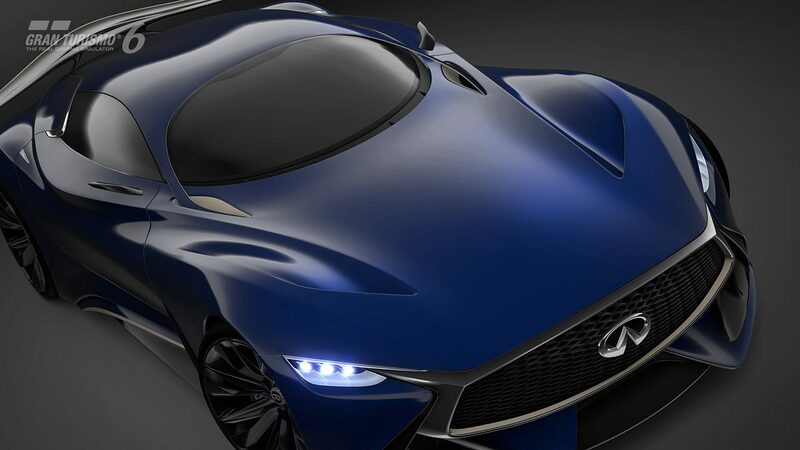 Vision GT enthusiasts will note that this car, unlike several of the other concepts, features an interior view, which should make it one of the most popular yet in the series. 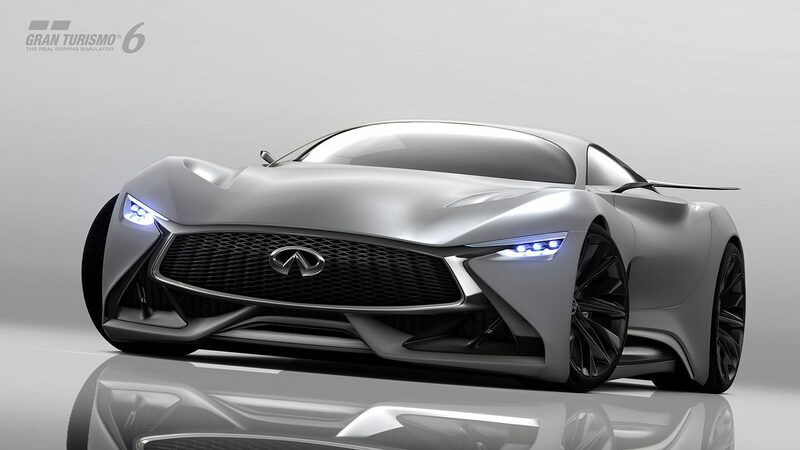 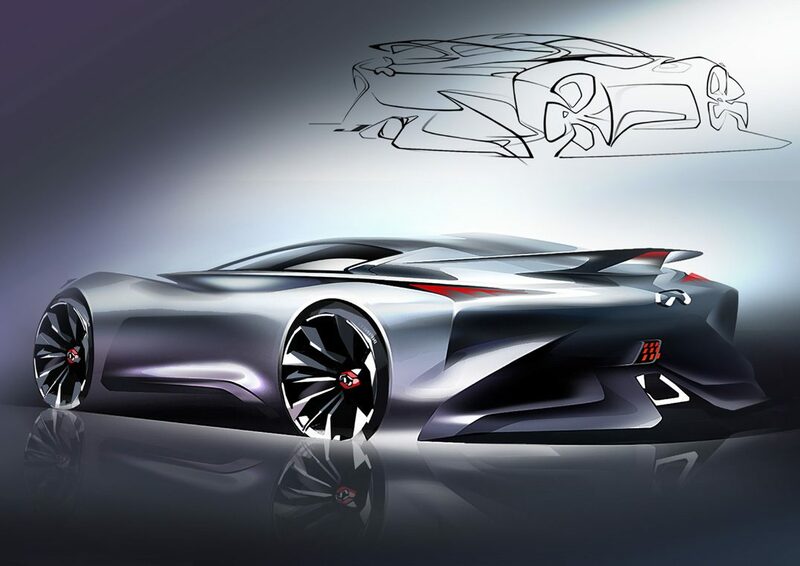 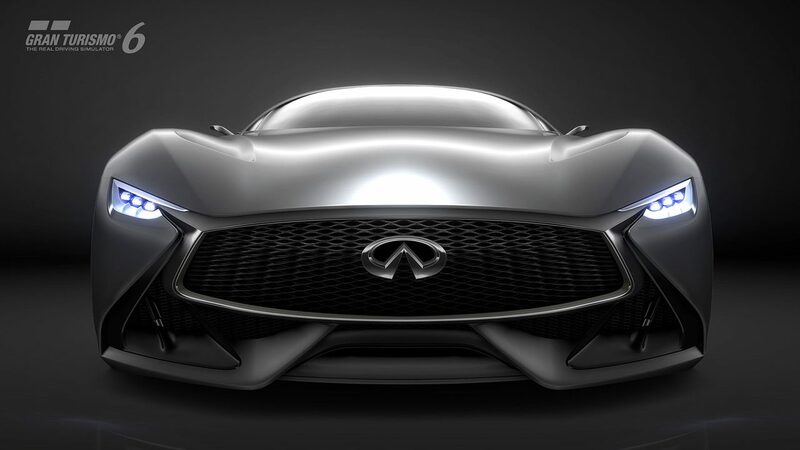 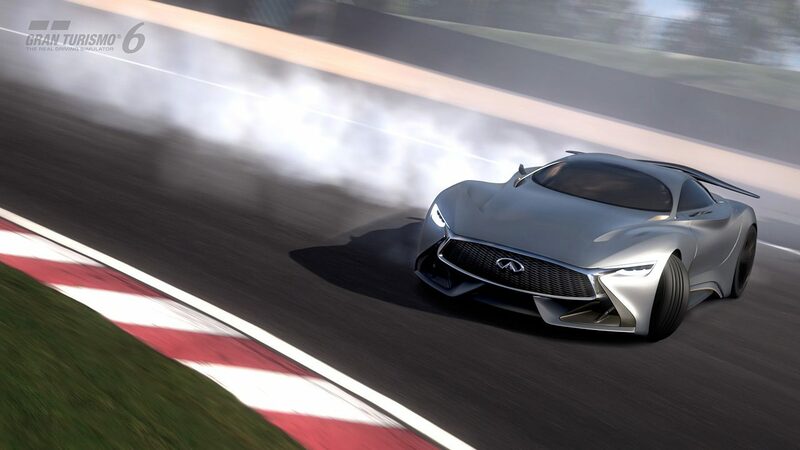 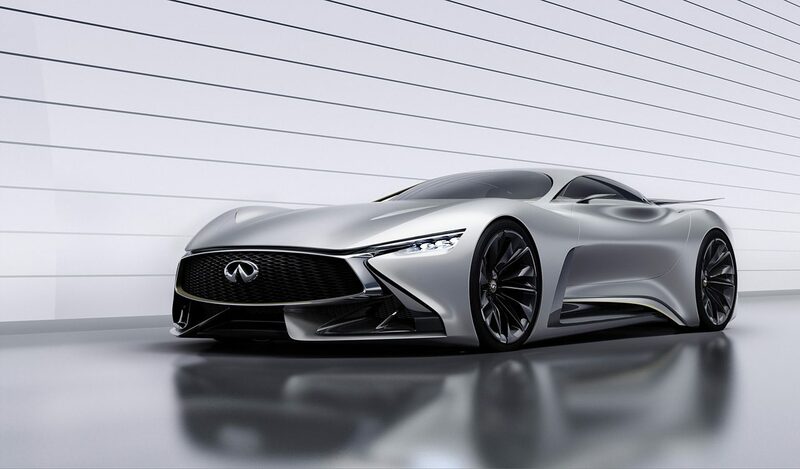 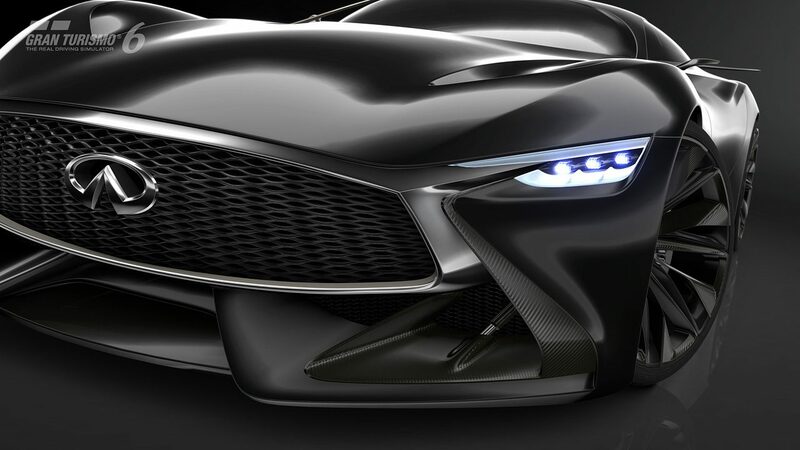 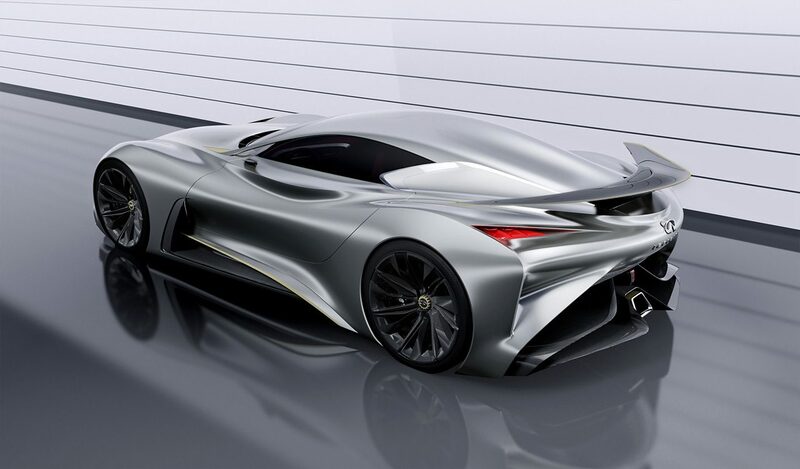 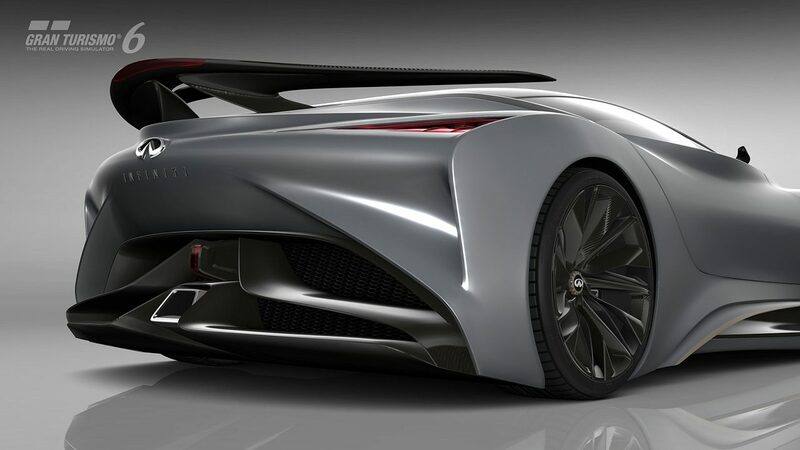 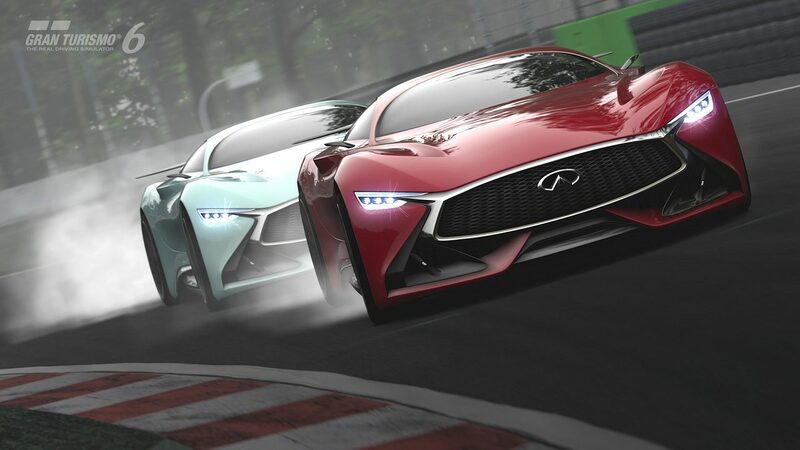 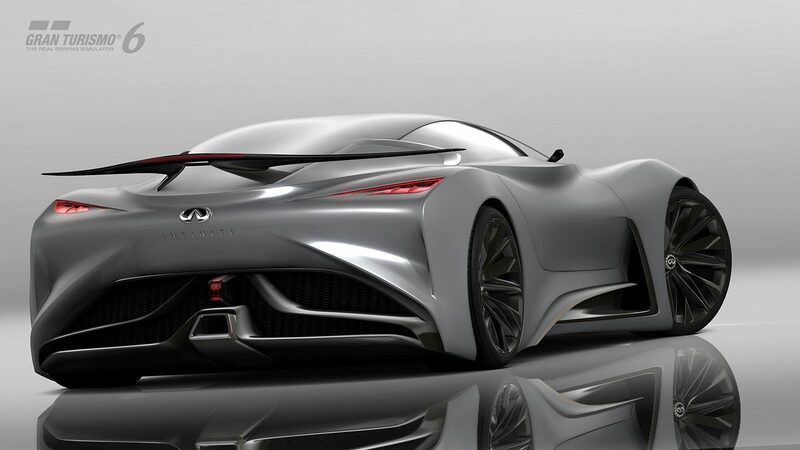 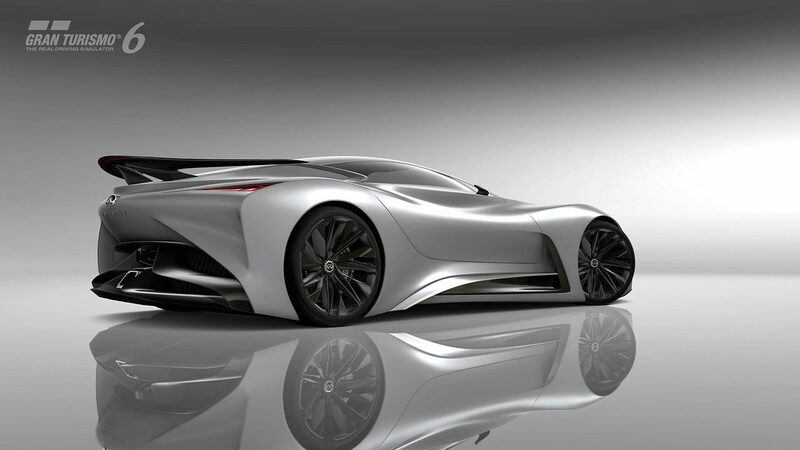 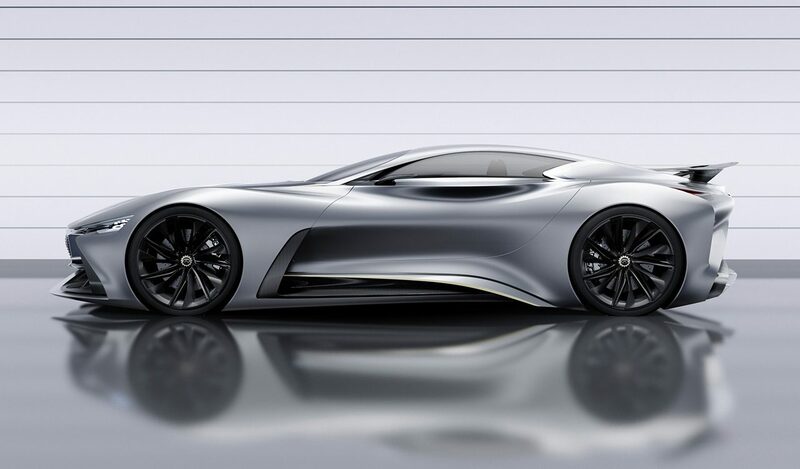 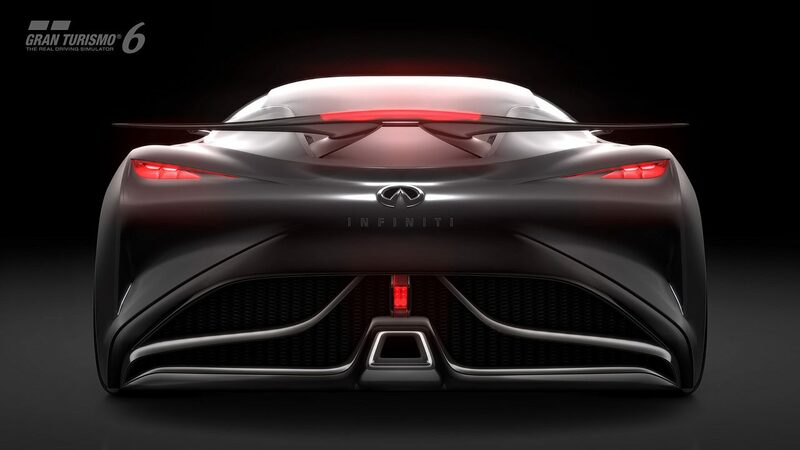 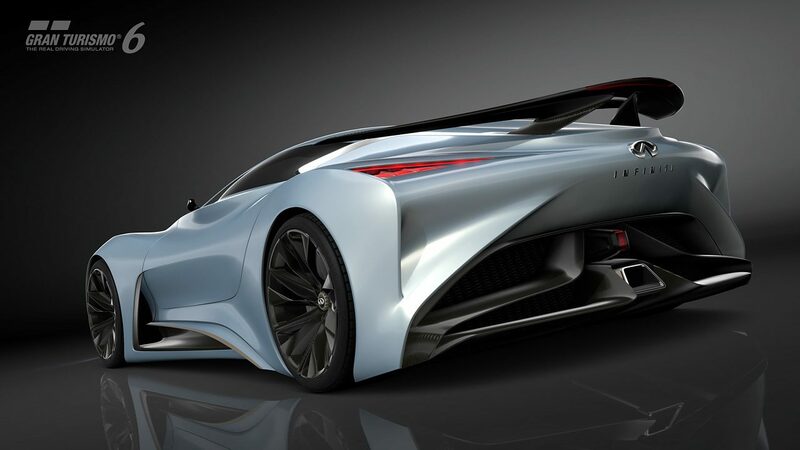 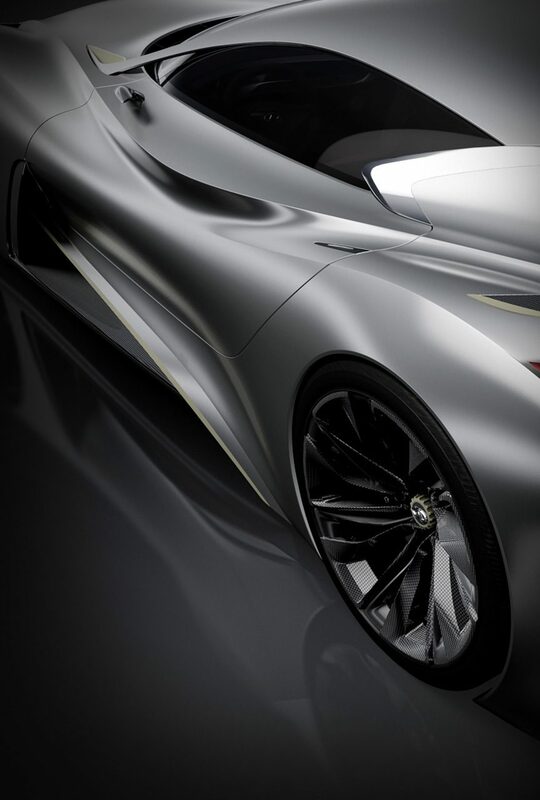 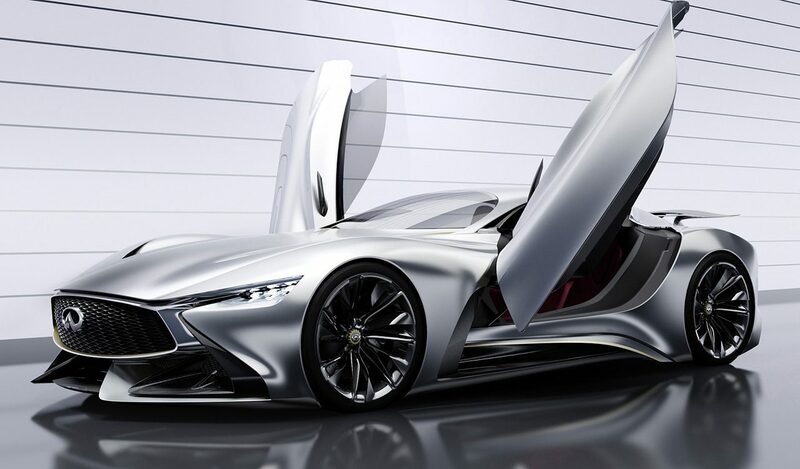 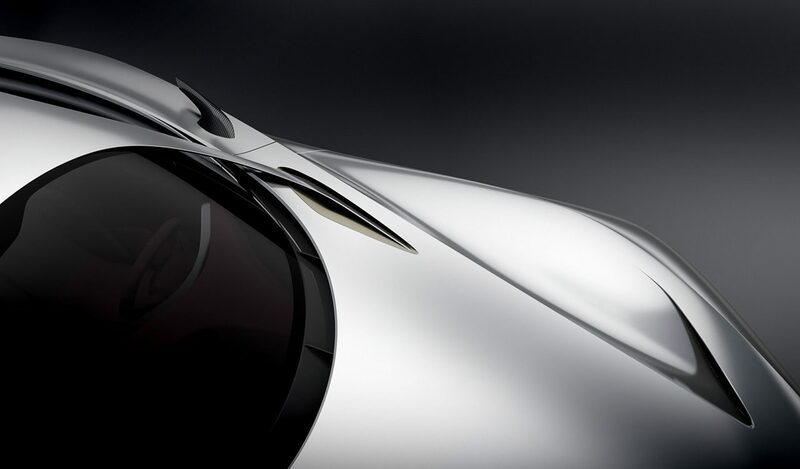 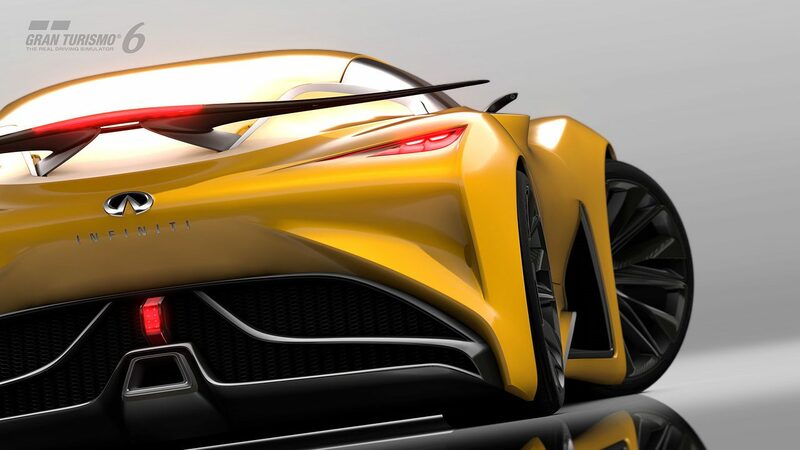 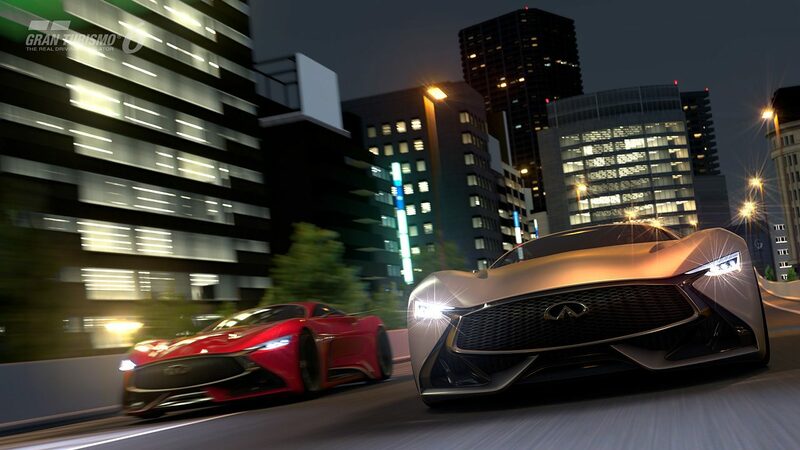 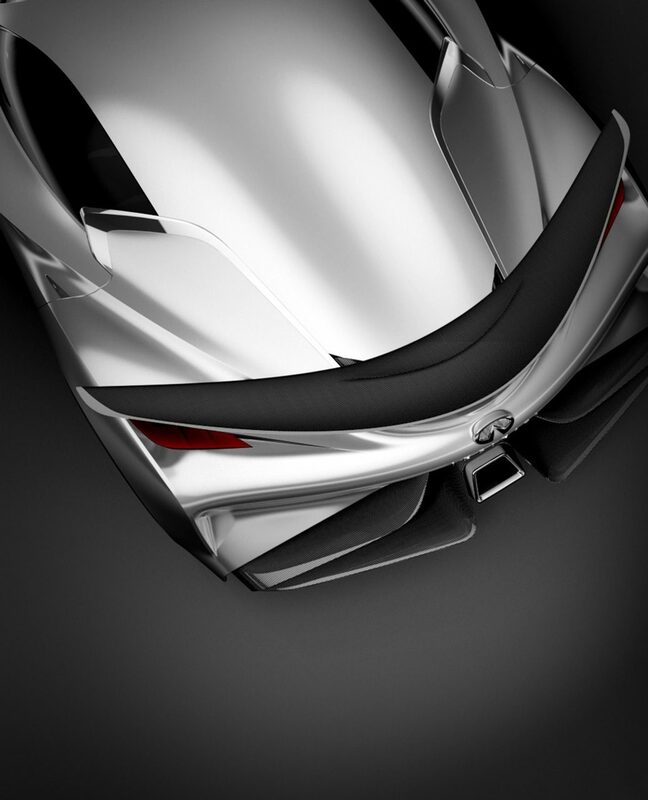 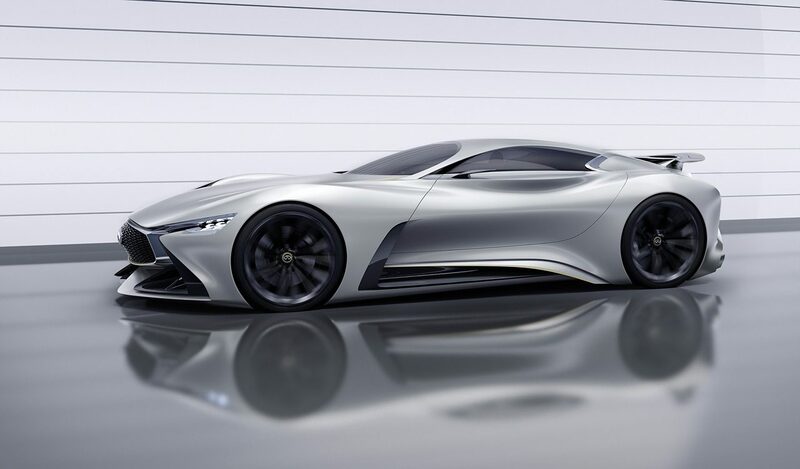 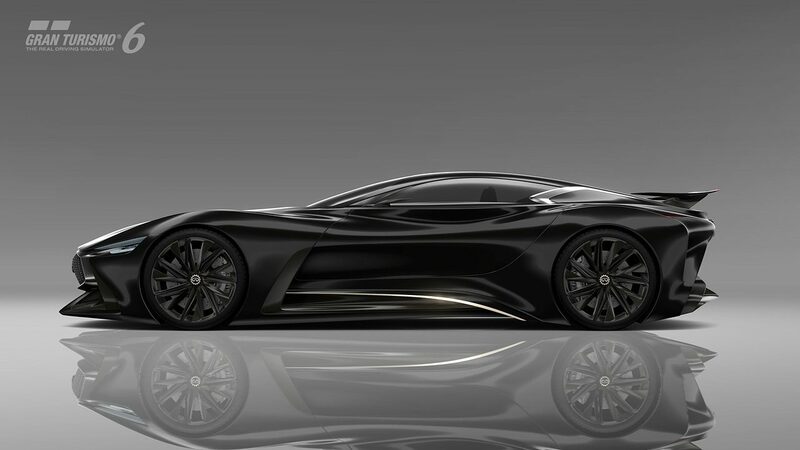 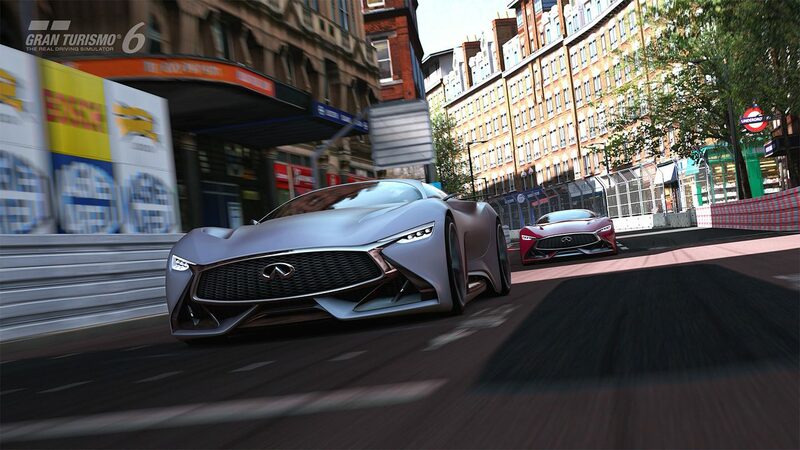 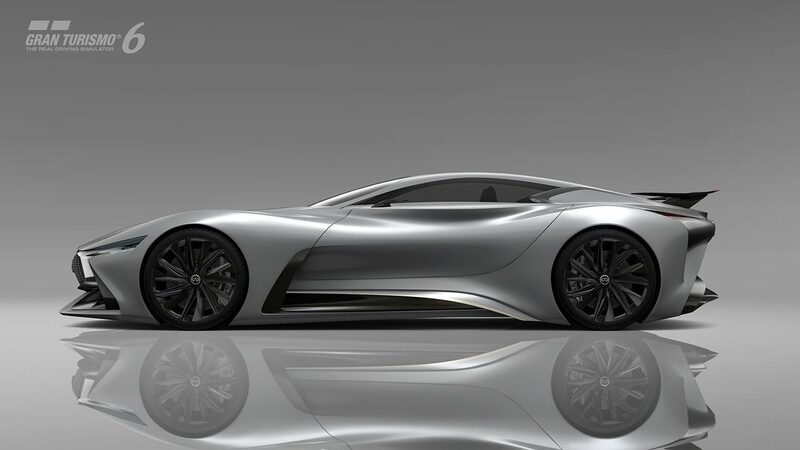 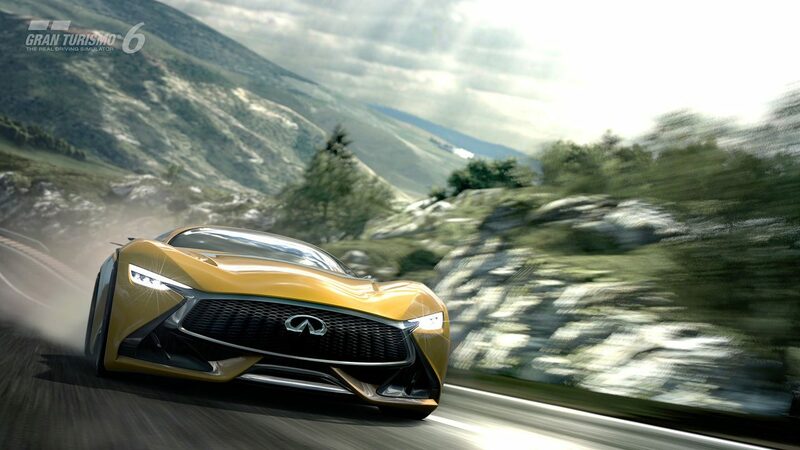 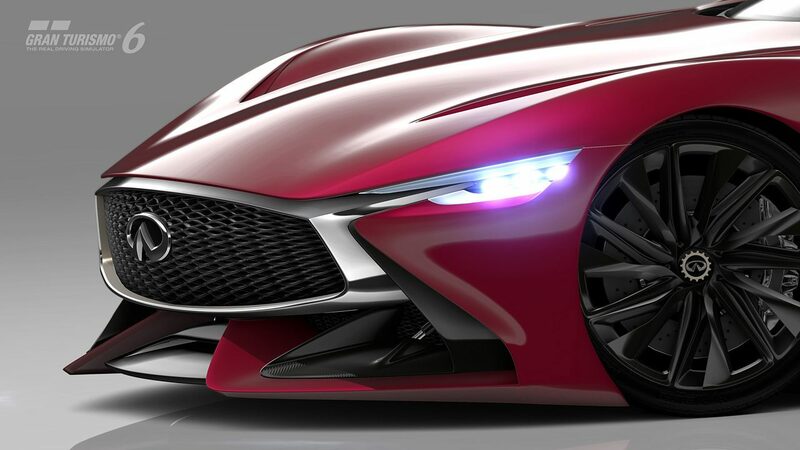 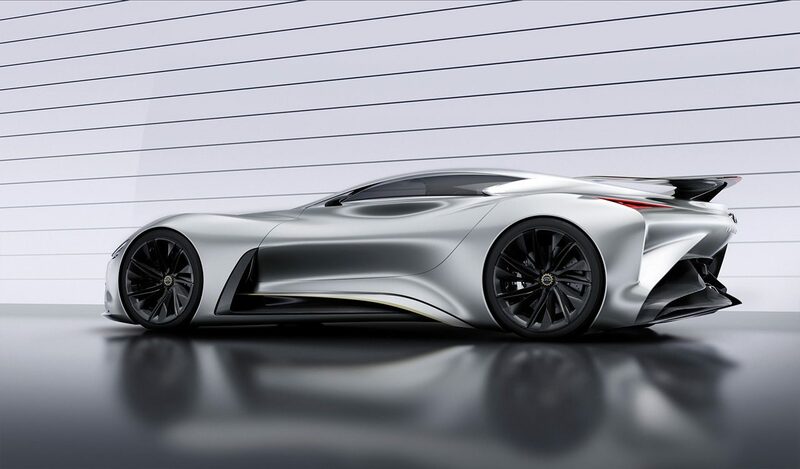 Another pleasant surprise was included in this update: the Infiniti Vision Gran Turismo concept. 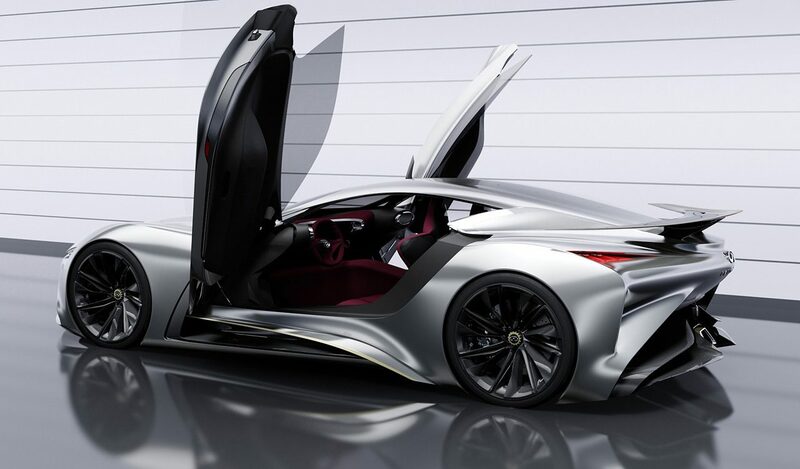 A naturally-aspirated 4.5L V8 powers the engine at higher speeds, while a separate electric motor provides low-end torque in slower corners. 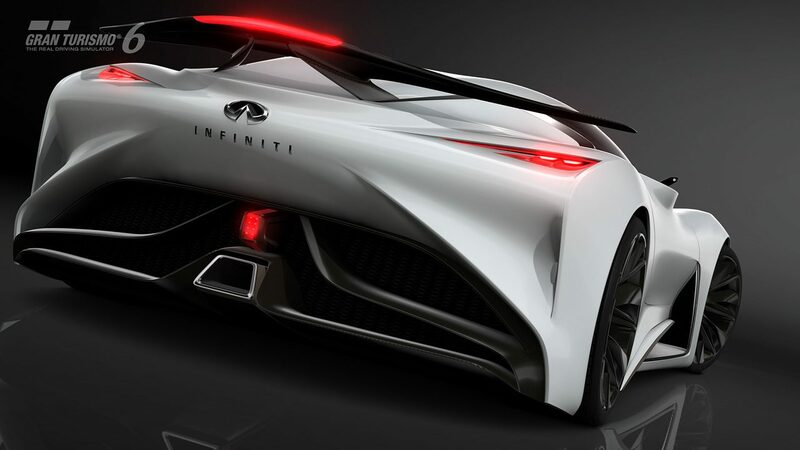 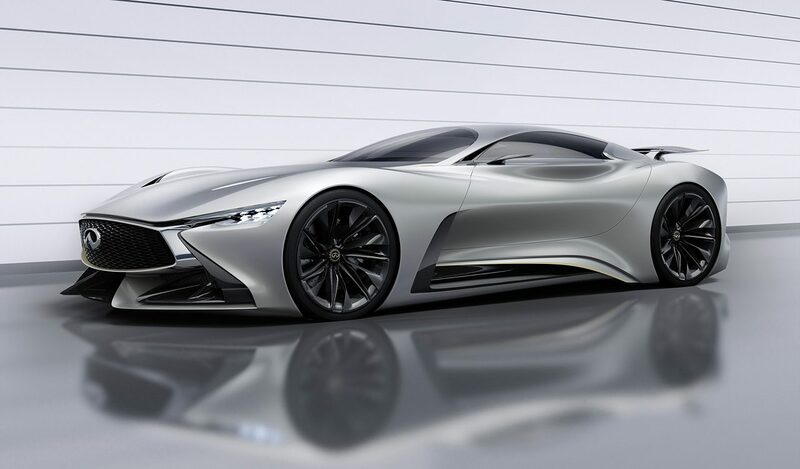 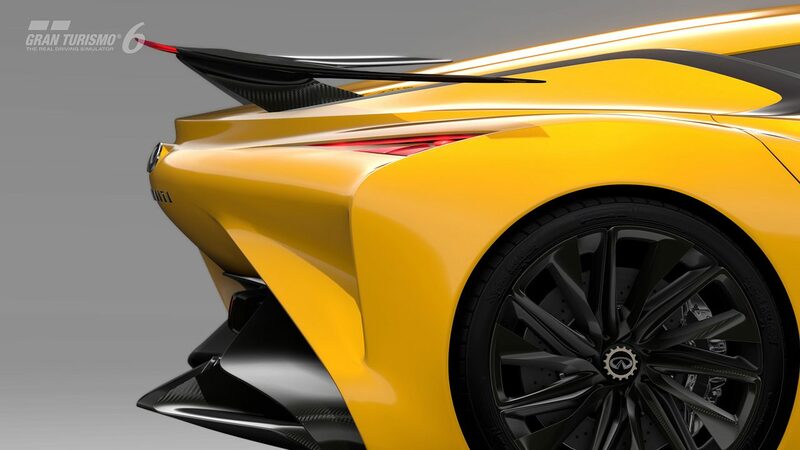 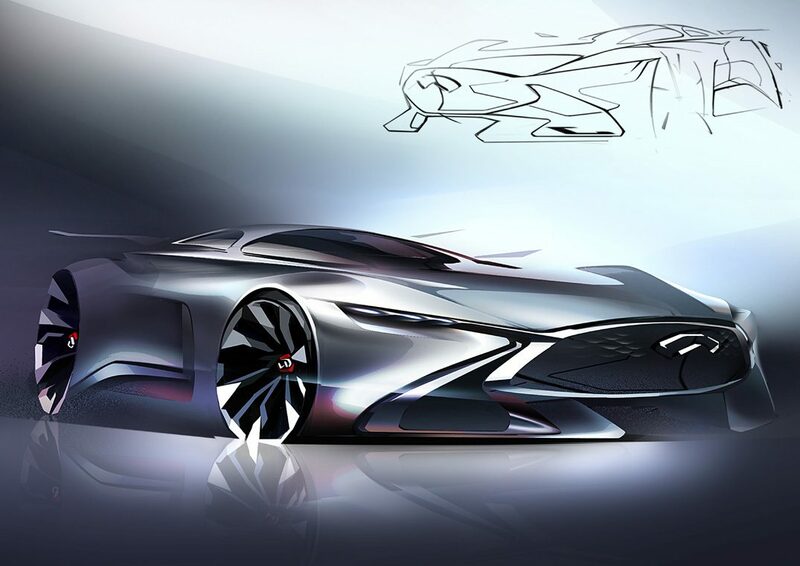 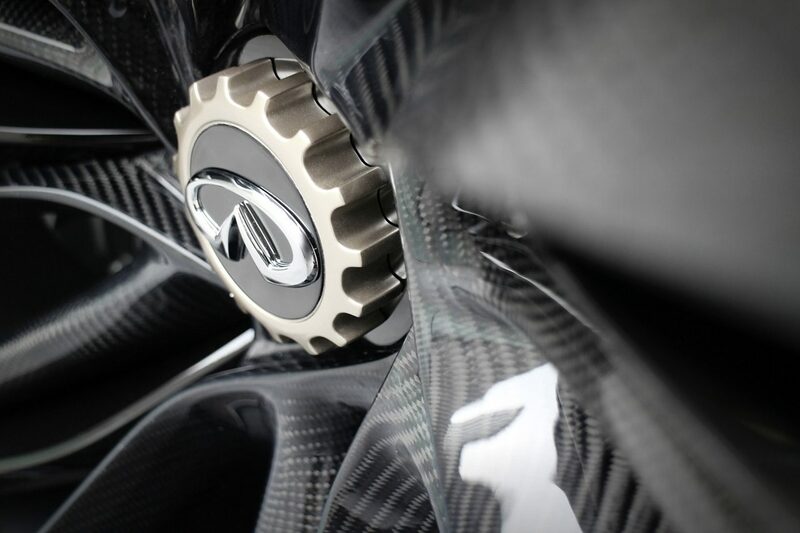 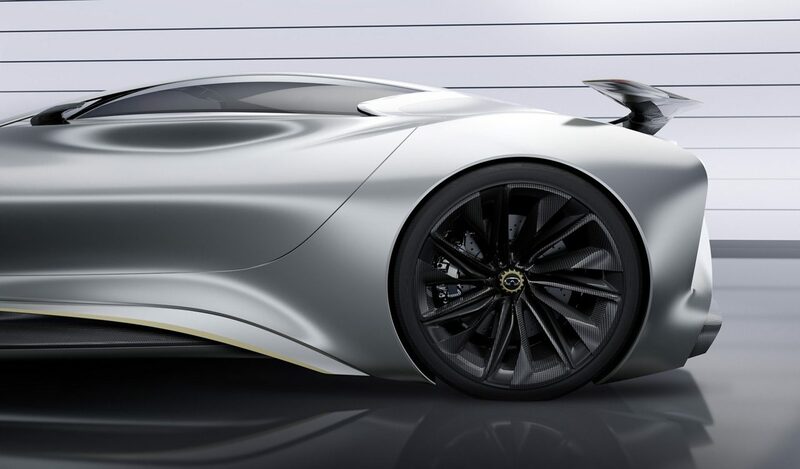 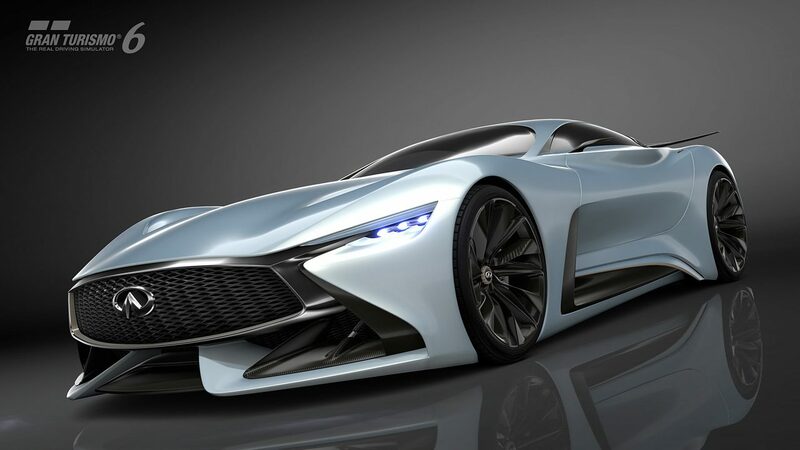 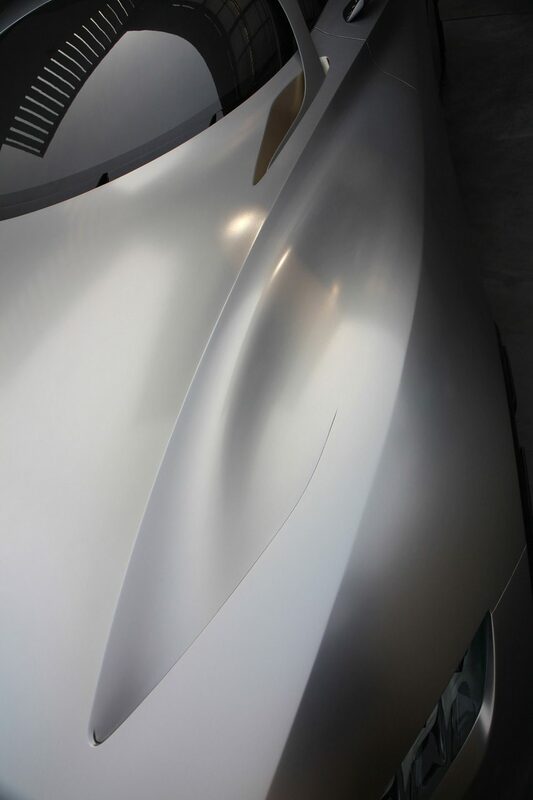 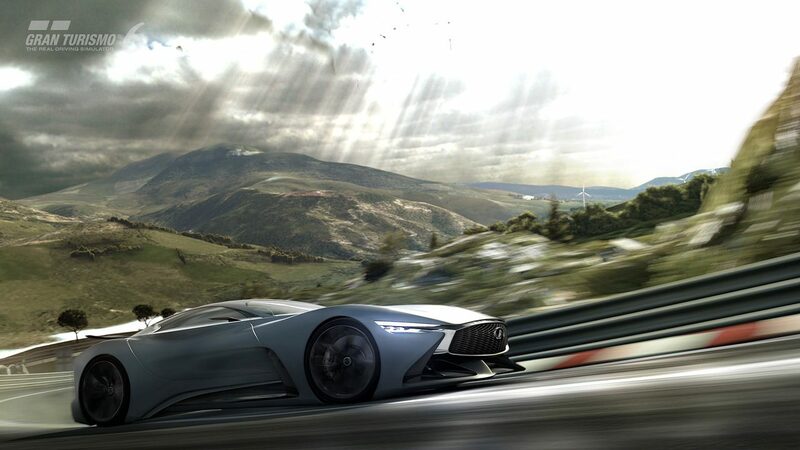 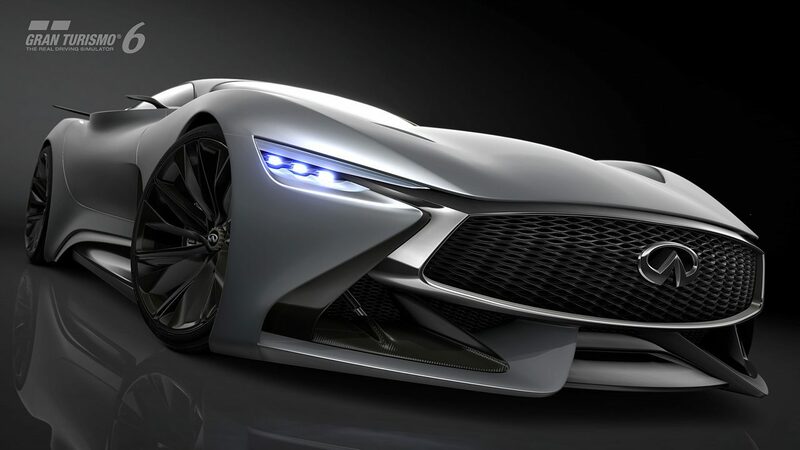 The car was created by a young team of automotive designers in Infiniti’s new Beijing design center, and the company apparently has aspirations to build and race an actual version of the car in the future. 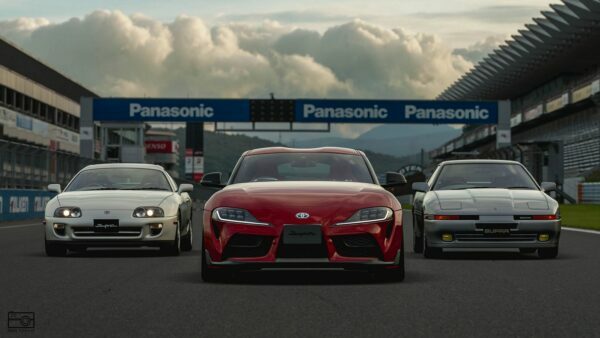 The sorting order of your car list in the [Garage] will now be saved. 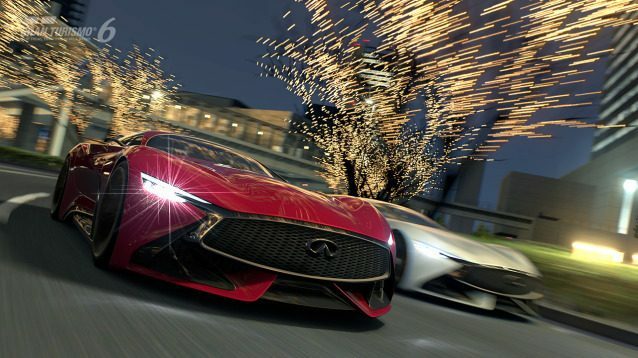 A notice will now be sent to the [Messages] inbox of users whom content created within the [Community] area has been removed due to a violation of SEN Terms & Conditions. 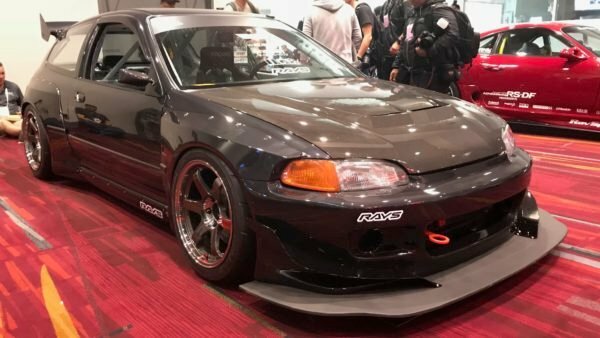 Fixed an issue regarding the camber angles of cars shown in the [Favorite Cars] tab within the [My Page] section of the [Community] area not being displayed correctly. 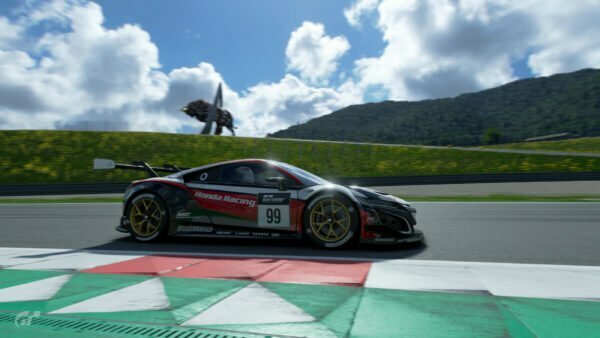 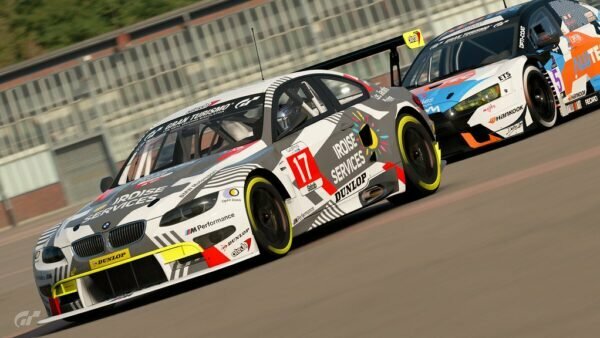 As always, visit our Gran Turismo 6 forum for more analysis and discussion of additional undocumented changes and features which might have worked their way into the game.